This has been a very busy week in Nursery. We watched the Year 1 and 2 Christmas play, had our Christmas party and finished our Christmas decorations. There were some very glittery, shiny cards made! We were very lucky that Father Christmas could spare the time to come to our party. It was very exciting. Have a lovely Christmas everyone and tell us about your presents when we see you again. This week was the Foundation Stage nativity play and Nursery were dressed as twinkling stars and did some brilliant singing. We have also been busy making Christmas cards and decorations. We are getting very good at copying letters from our names. Next week is another busy week, finishing our Christmas activities and having our Christmas party. This week we have set up Santa's workshop in our role play area. We have been delivering presents and writing letters to Father Christmas, copying some letters from our names. We have also been weighing parcels on the scales to decide which is heavier and which is lighter. Can you find things at your house that feel heavier or lighter? Next week it is our Nativity play on Wednesday and we will be singing the songs we have been practising. We will also be involved in lots of Christmas activities. 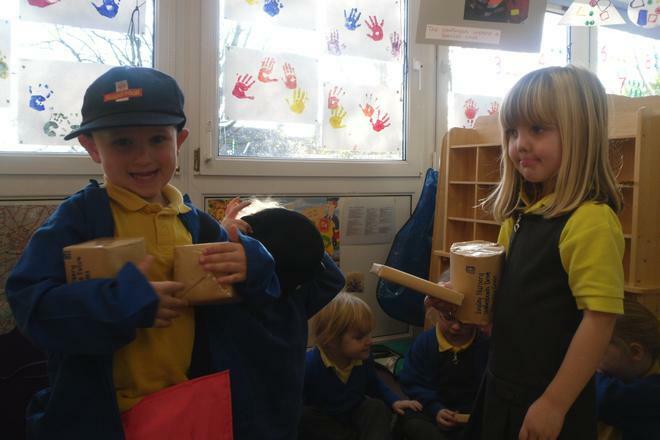 This week in Nursery we have been creating penguins to develop our cutting and gluing skills. We have also been practising writing our names and drawing pictures for our Advent tree. We can't wait to open number 1 on Monday. Lots of you have said you have got a calendar at home. See if you can remember what's in it to tell us next week? Next week we will be weighing parcels in our post office, talking about heavier and lighter and making snowmen decorations. This week in Nursery we have set up our role play area as a post office, talking about the things we might see and do there. 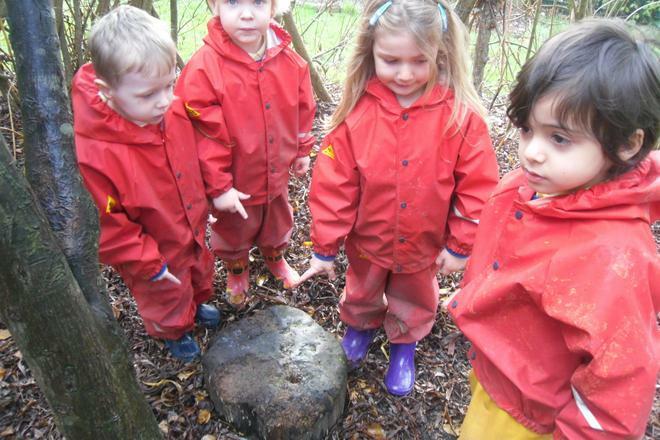 We have also been looking for lots of different shapes in our outdoor environment. Perhaps you can see which shapes you can find in your house? Next week we will be creating penguins for our Winter board using our cutting and gluing skills. We are also drawing pictures for our Advent calendar as it will soon be December.